Sentinel-2A conducted its first ever scan of Earth on June 27th. 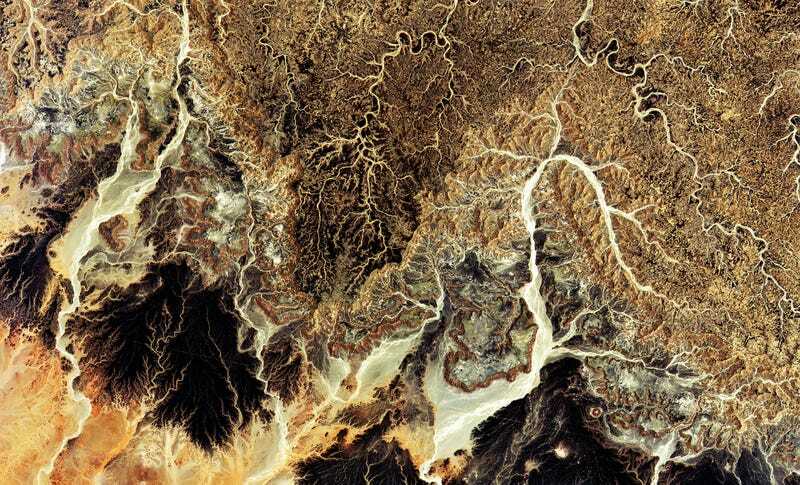 The result was this gorgeous image of the Sahara in central Algeria, showing a glorious terrain of rocks and sand. Sentinel-2 is the second of six planned Sentinel missions. A pair of satellites with multispectral high-resolution imaging systems, Sentinel 2 will be used to track land use, vegetation stress, soil and water cover, or satellite imagery for emergency response. This Sahara photo is only one of the first photos picked up by the satellite, the rest being shots of Europe.